Although there are numerous animal testing and research facilities within the United Kingdom (UK) and throughout the world, there are some particularly prominent ones. They are prominent namely because they occupy a large space, have many staff and utilise large numbers of animals for testing purposes each year. Given this large number of animals used and subsequently killed, it is not a surprise that they are quite often the target of animal welfare campaigns and extremist animal rights activists. Covance is based in the United States and is a contract research organisation (CRO). It supplies drug development services and animal testing facilities and related services. It is one of the biggest companies in the world and can be found in twenty countries, employing nearly ten thousand employees around the world. It is also an extremely large importer of non-human primates within the United States and staff regularly breed large numbers of dogs for laboratory use. In addition, Covance also supplies rabbits and other animals for testing. They are also one of a declining number of companies who import primates that are captured in the wild. Covance is an accredited company and their staff is reported to receive extensive training. In addition, they employ veterinarians and accredited animal technicians. Despite the accreditation and contribution to drug development, Covance has been somewhat riddled with controversy. There have been reports of animal abuse in their German laboratories as well as within their laboratories in the United States. Animal rights activists managed to obtain an undercover video from a journalist several years ago, which showed staff handling monkeys roughly and shouting loudly at the animals. Huntingdon Life Sciences (HLS) is another CRO and it is based in England, with several facilities now within the UK as well as in the United States and Japan. It is, in fact, one of the largest operations in Europe and uses almost a hundred thousand animals each year to test an enormous range of products. These include drugs, chemicals, industrial substances and food products. Their clients are based around the world and they have built up a strong reputation for their work. At the same time, they have struggled against the poor publicity that occurred when British animal rights activists created the Stop Huntingdon Animal Cruelty (SHAC) group, which ultimately aimed to have the company shut down. The campaign initially began with undercover footage within Huntingdon showing staff hitting animals. The footage was broadcast on television in the UK and the result was that the company lost clients over the negative publicity. In addition, various staff members at Huntingdon were threatened or attacked. The company has, however, more recently improved its image and increased its profits and standing in the animal testing aspect of the business. 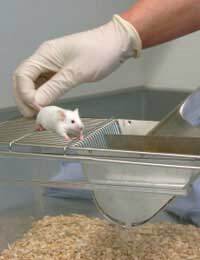 The leading animal testing and research organisations play somewhat of an important role in that they are well-known and monitored as well as being detailed in the media with regards to drug development. Their vulnerability to animal rights extremists who target their facilities also make them high profile in the news. This means that there is more of a responsibility for leading animal testing and research organisations to set an excellent example by ensuring they follow all laws and regulations for animal testing. This will help to set precedent for other companies and can continue to pave the way for ethical and humane animal testing.